Best Film: Close Up. Never seen anything quite like it. 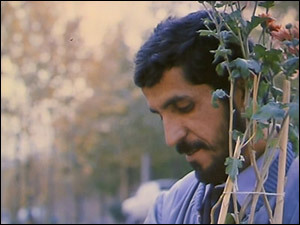 Best Director: Abbas Kiarostami (Close Up). It takes some creative chutzpah to make a movie like this. Best Script: Ladislav Grosman (The Shop on Main Street). The script is the movie’s real strength. Best Moment: The climax of Not One Less, when Wei’s naïve, exasperating stubbornness is finally rewarded. Honorable mention to the second dance number in 3 Idiots and to Sabzian’s intensely personal testimony in Close Up about the power of film. Best Visuals or Technique: Not a great week for brilliant camera work. The nod goes to Costa-Gavras for his camera work in Z. Not everything works or holds up well, but there’s a lot to admire in his style. Biggest Surprises: Everything about Close Up, that I liked 3 Idiots as much as I did, and that the roundly praised How I Ended The Summer irritated me so very much.